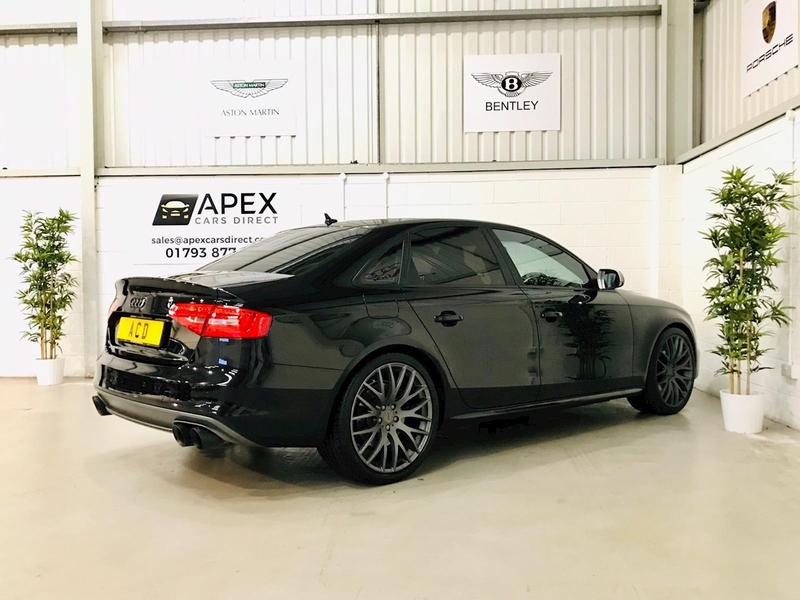 Apex Cars Direct are pleased to present this magnificent Audi S4 Quattro S Tronic Black Edition for sale, it comes with an impressive specification list includes Satellite Navigation, DAB Digital Radio, Technology Pack(High), Bang & Olufsen Speaker System, Bluetooth Phone & USB/Aux/iPod Audio Connectivity, Audi Drive Select, Full Time 4 Wheel Drive, Audi Quattro Sports Differential, Black Styling Pack, Cruise Control, Voice Control, Auto Dimming Rear View Mirror, Leather Multi-functional Steering Wheel Including Paddle-shift, Start/Stop System, 3 Zone Climate Control, Front & Rear Park Assist, EBD, Electronic Traction Control, Engine Start/Stop System, Brake Assist System, Damper Control, Stability Control System, Sports Suspension, Rain Sensing Wipers, Headlight Washer System, Heated Electric Exterior Mirrors, Bi-Xenon Headlights with Dusk Sensor and Auto Height Adjustment, Daytime Running Lights, Front Fog Lights, Tinted Glass, Isofix, Heated S4 Super Sport Front Seats, Leather Armrests, Isofix, plus much more. 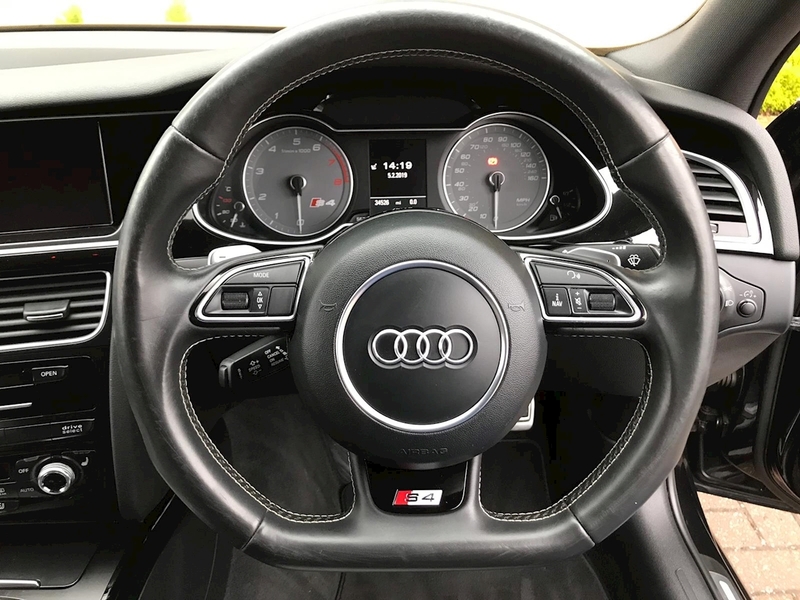 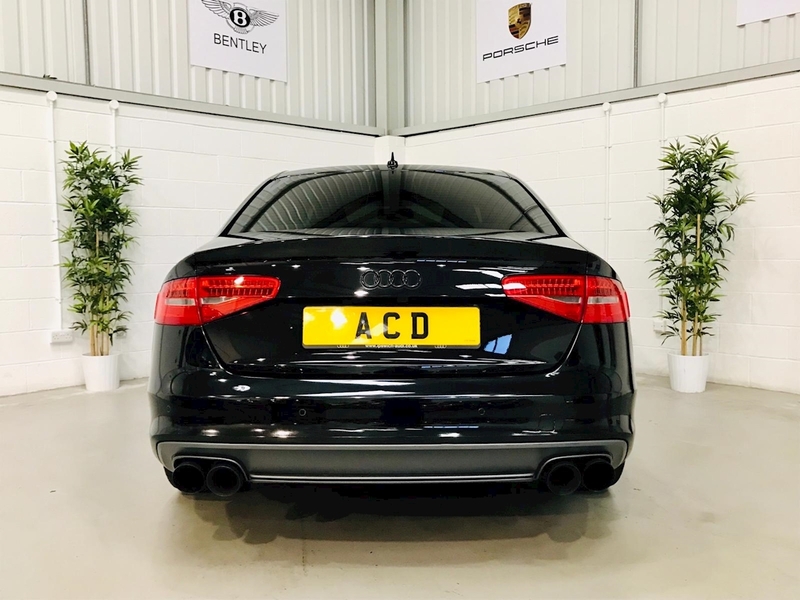 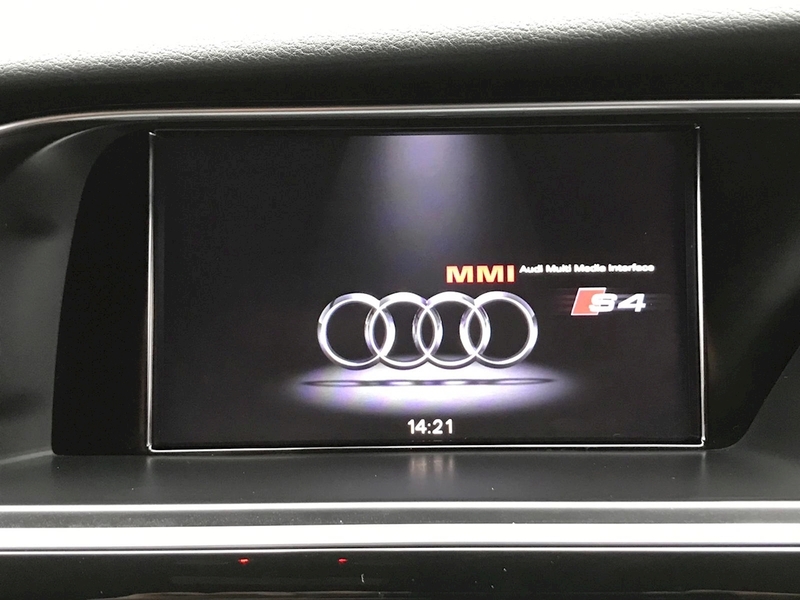 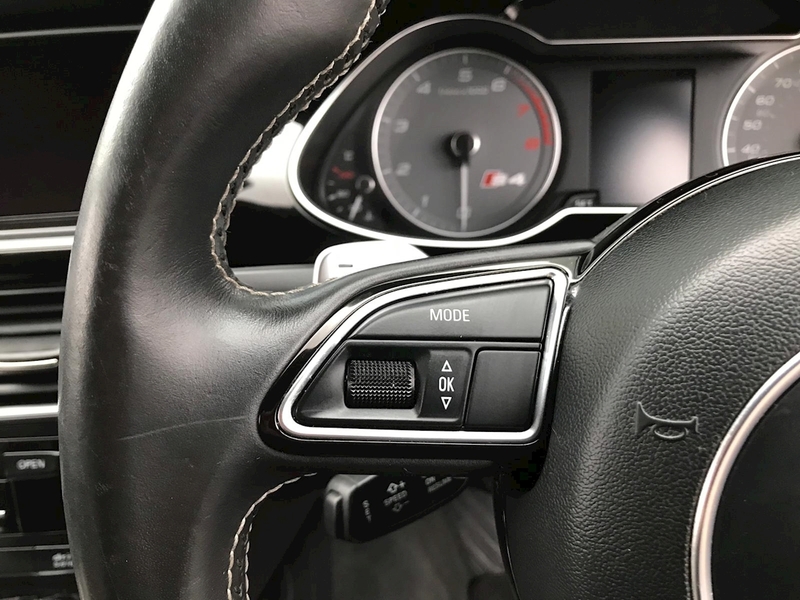 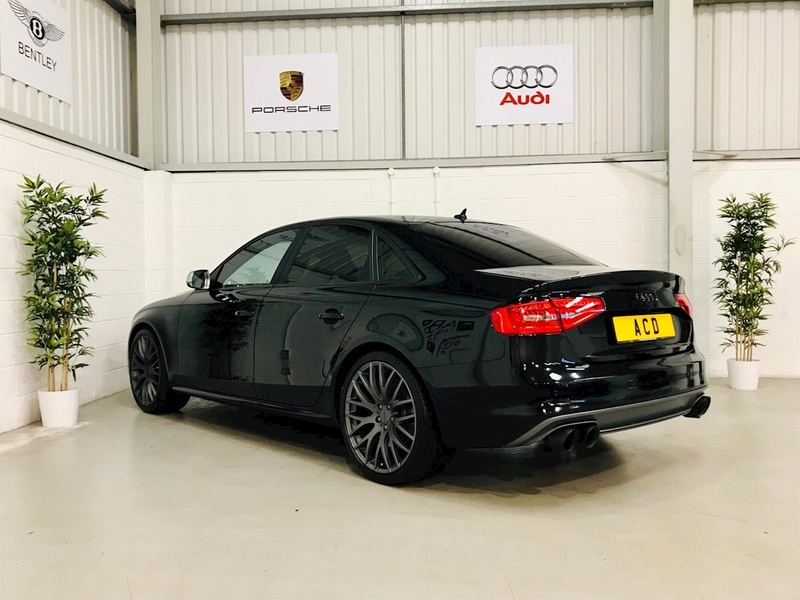 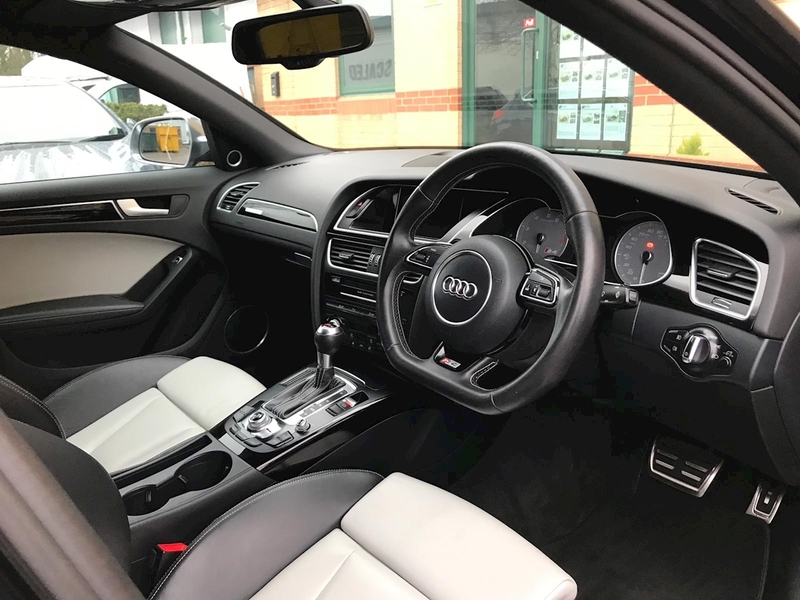 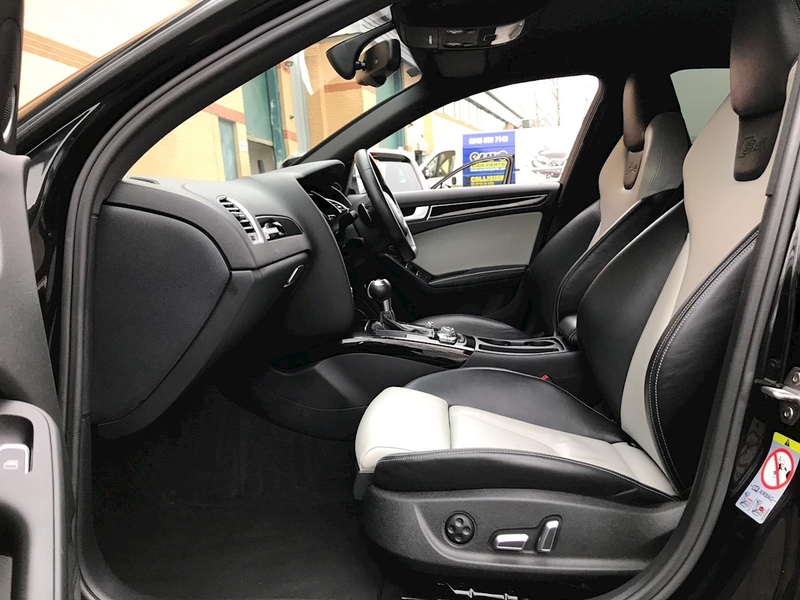 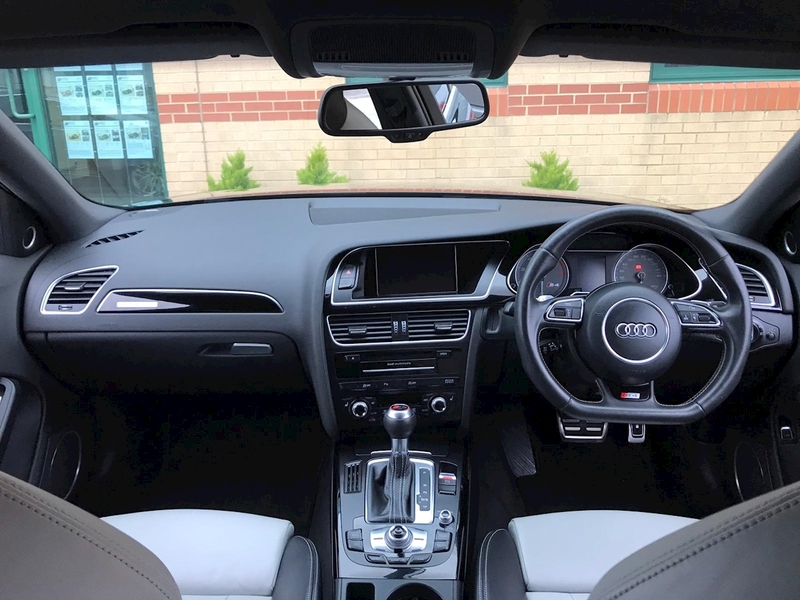 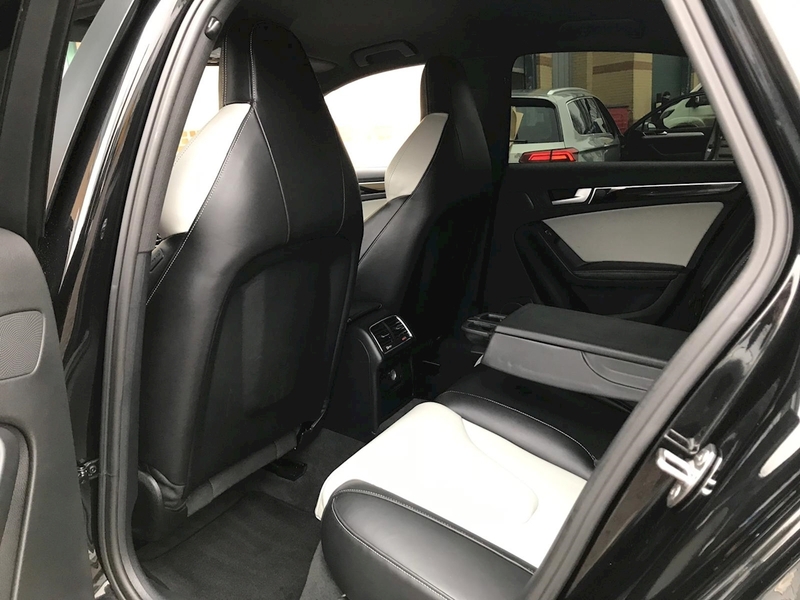 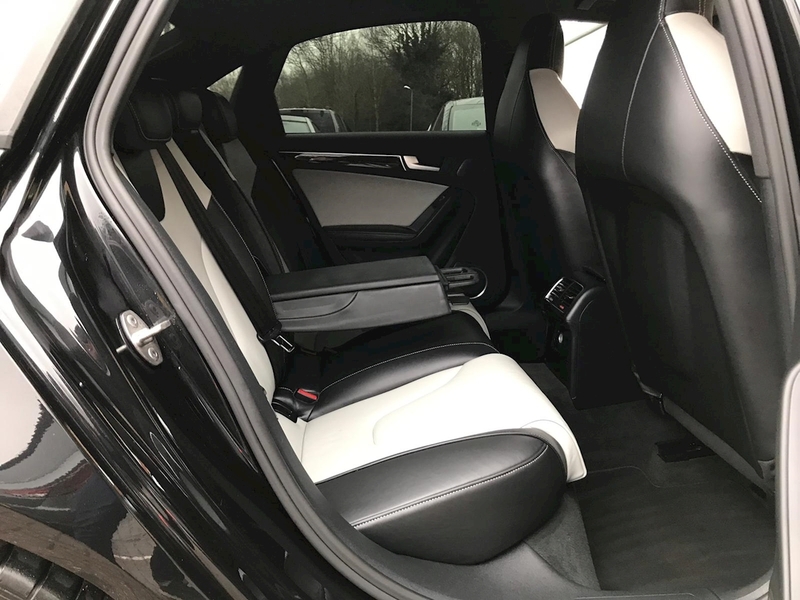 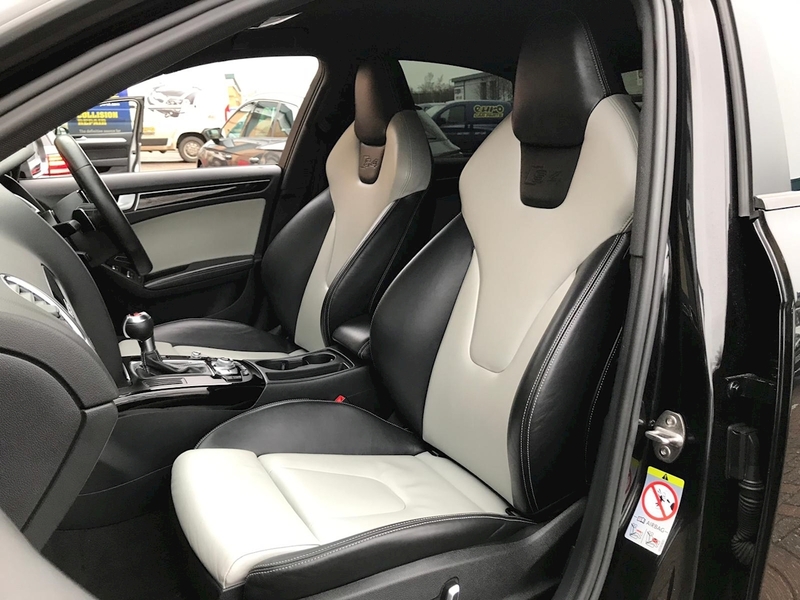 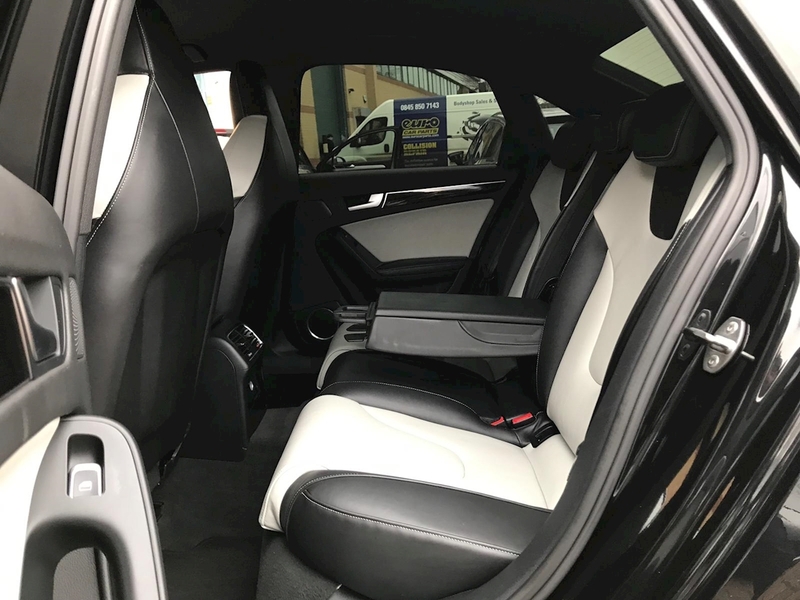 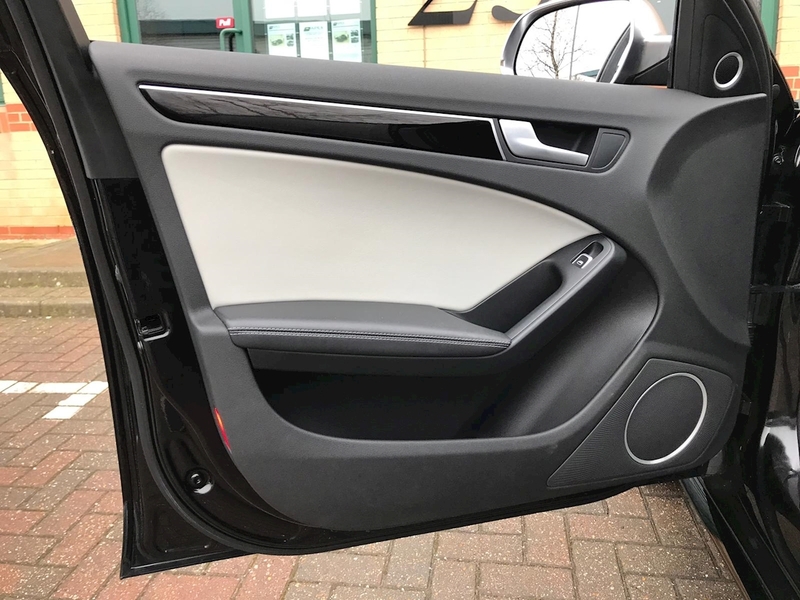 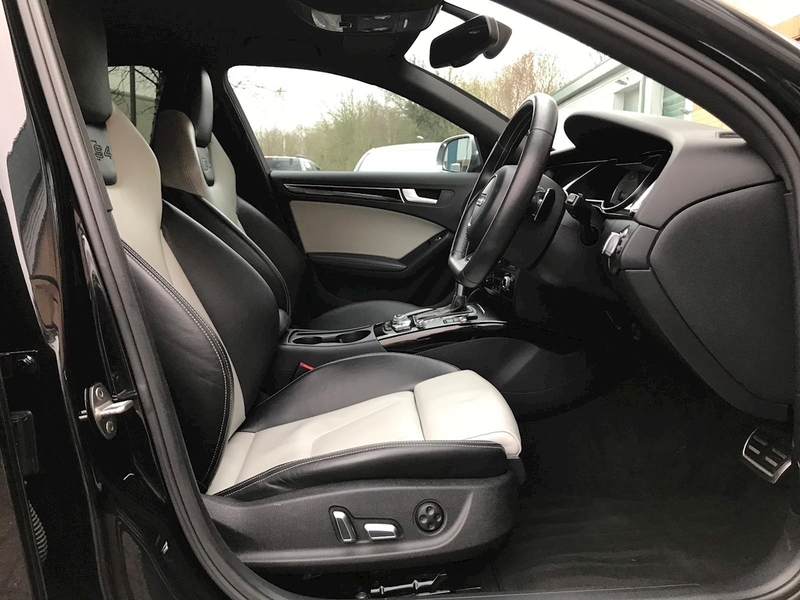 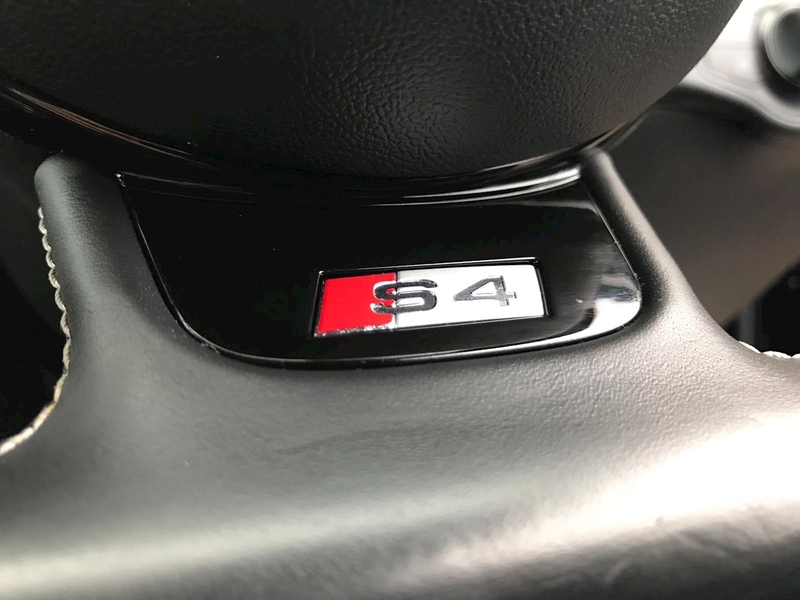 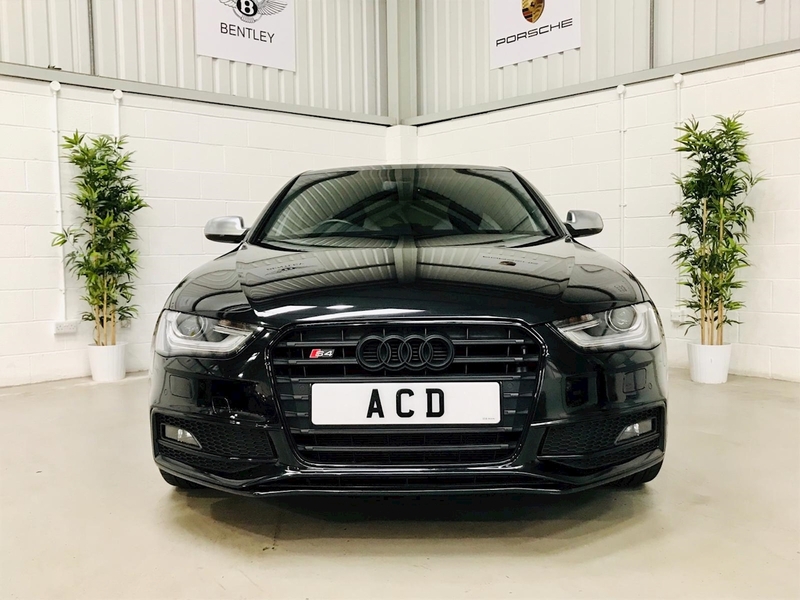 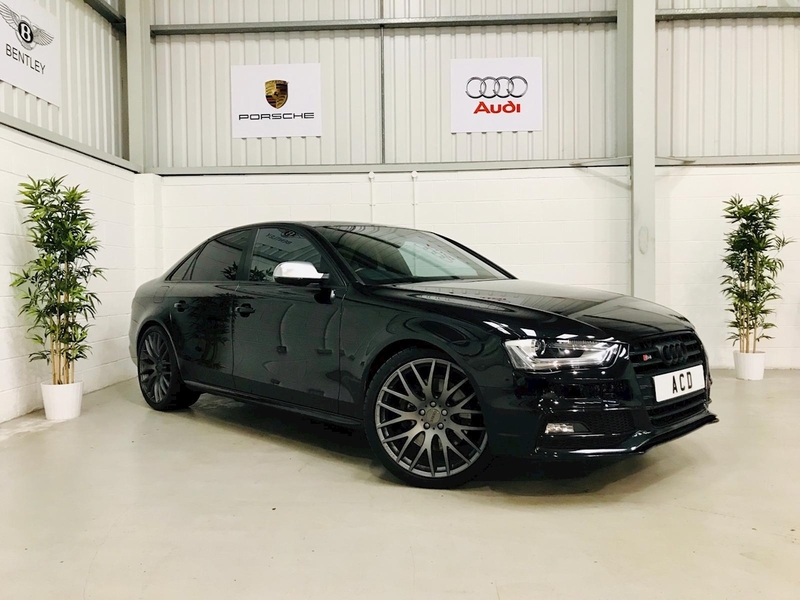 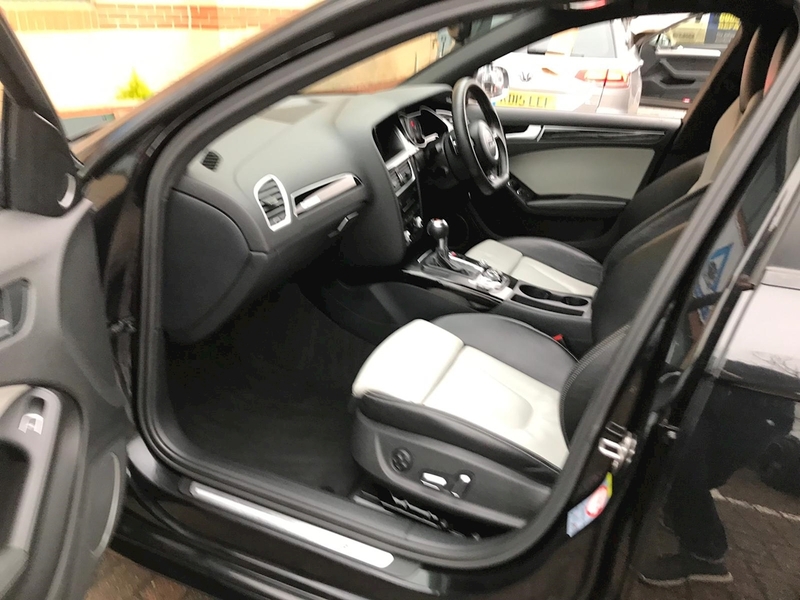 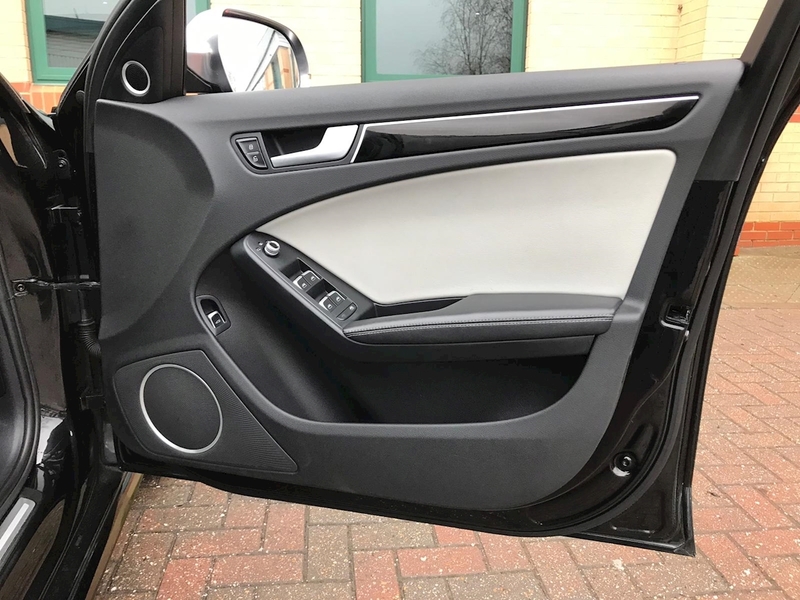 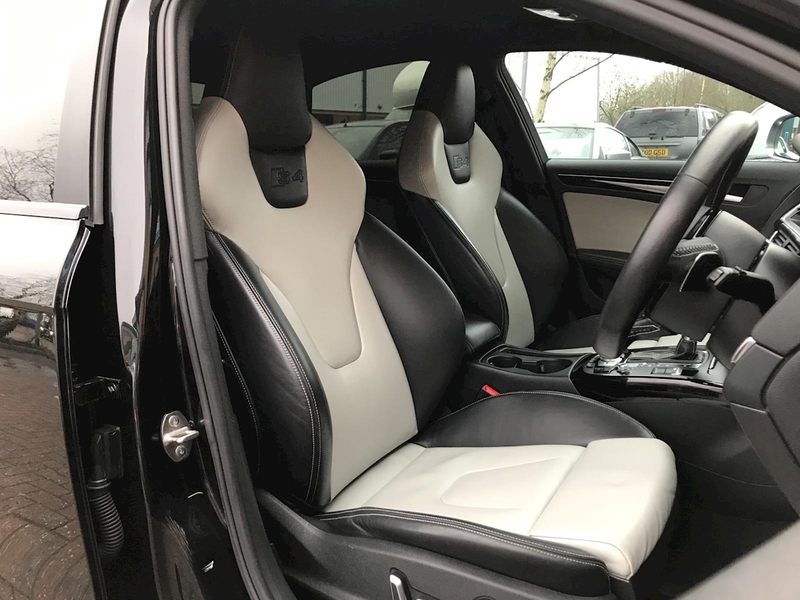 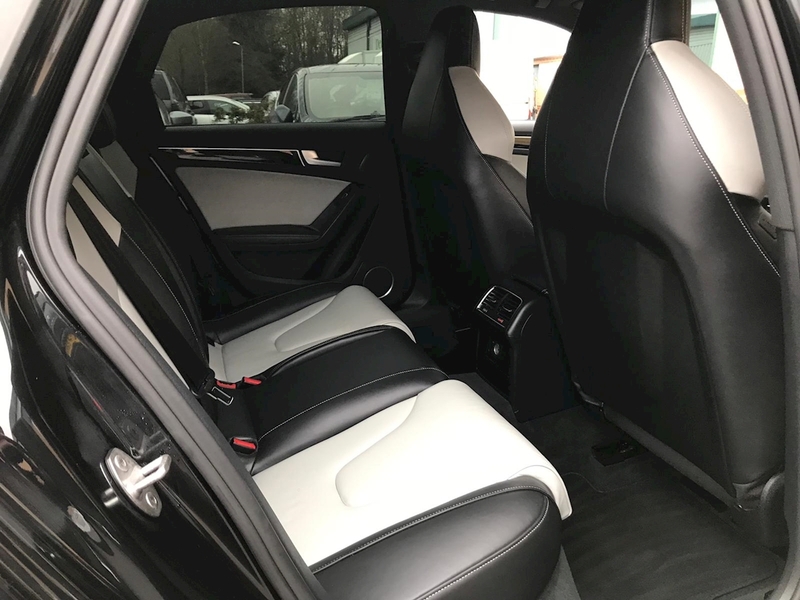 This fantastic S4 looks stunning in Pearlescent Phantom Black, Full Black Leather/Alcantara Two Tone S4 Sport Seats with contrast stitching, Piano Black Inserts, Aluminium Mirror Covers and 19” Alloys. 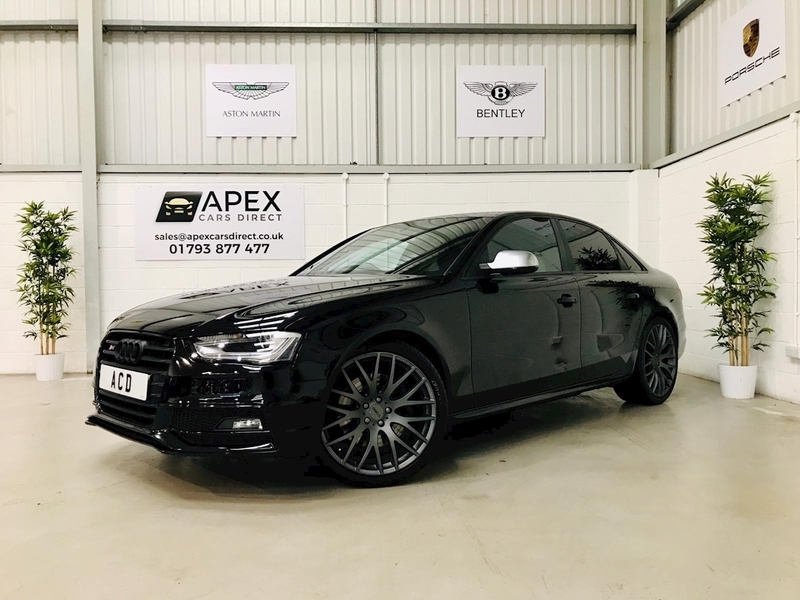 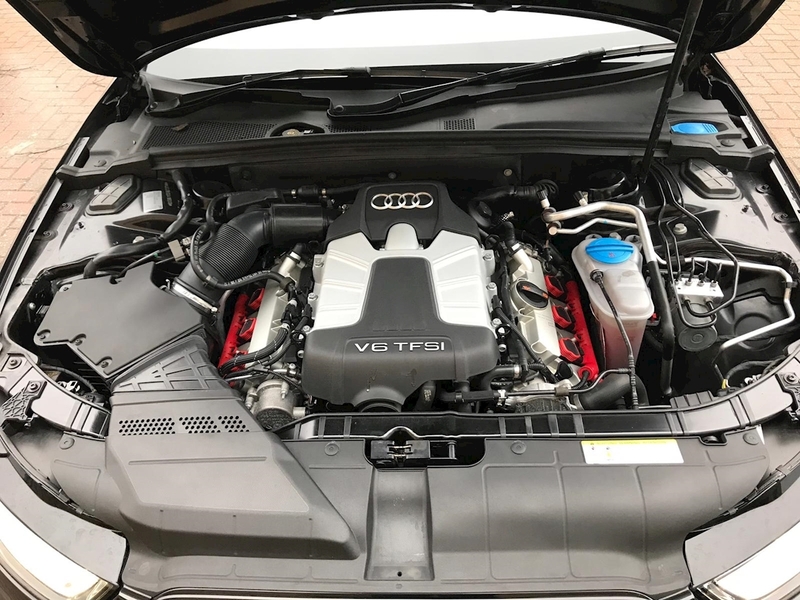 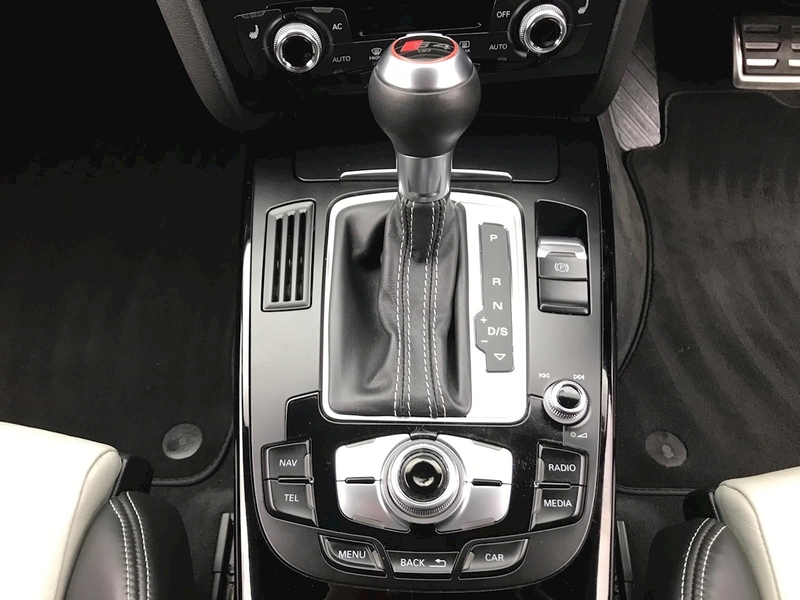 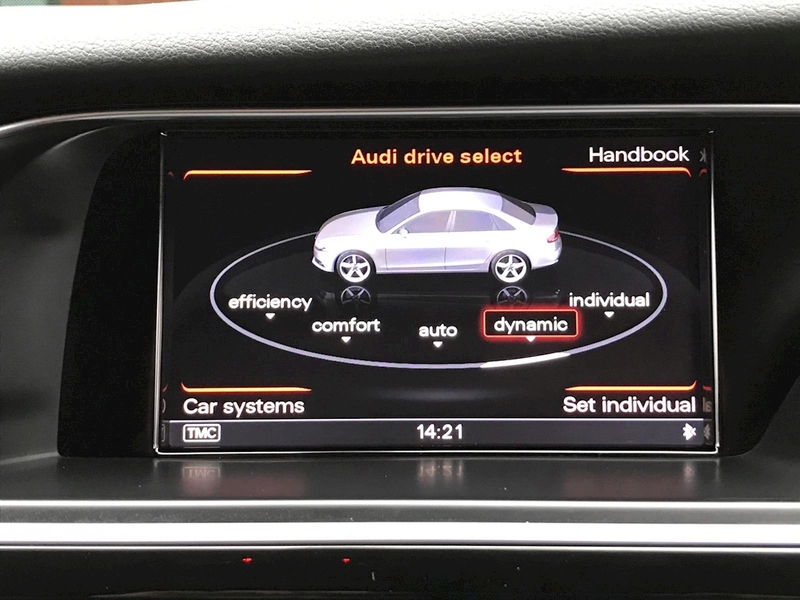 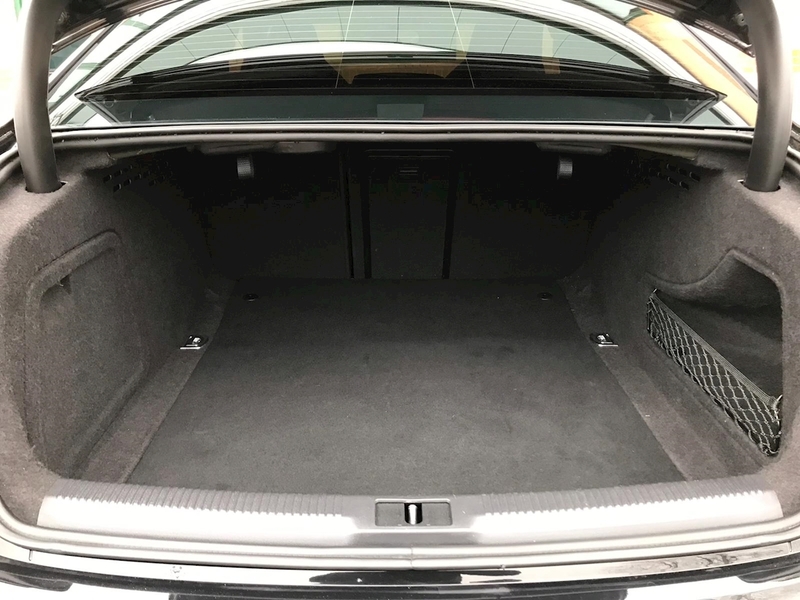 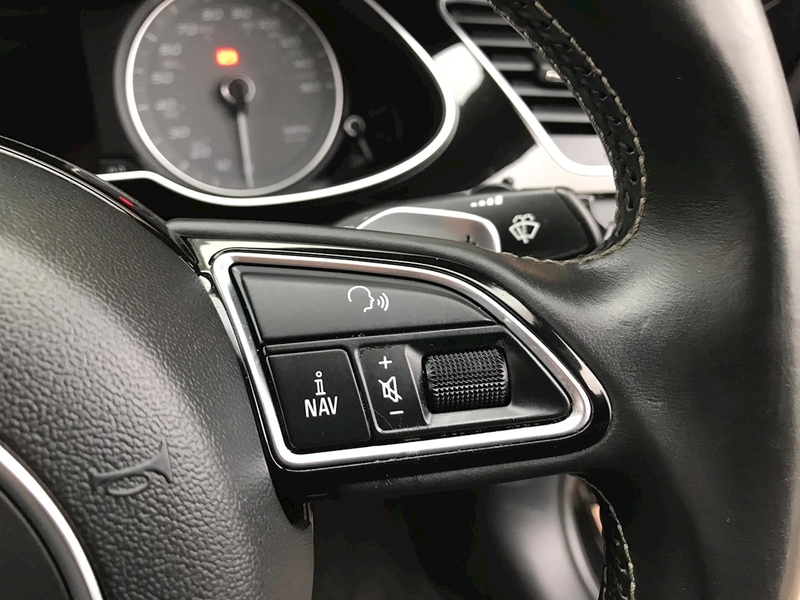 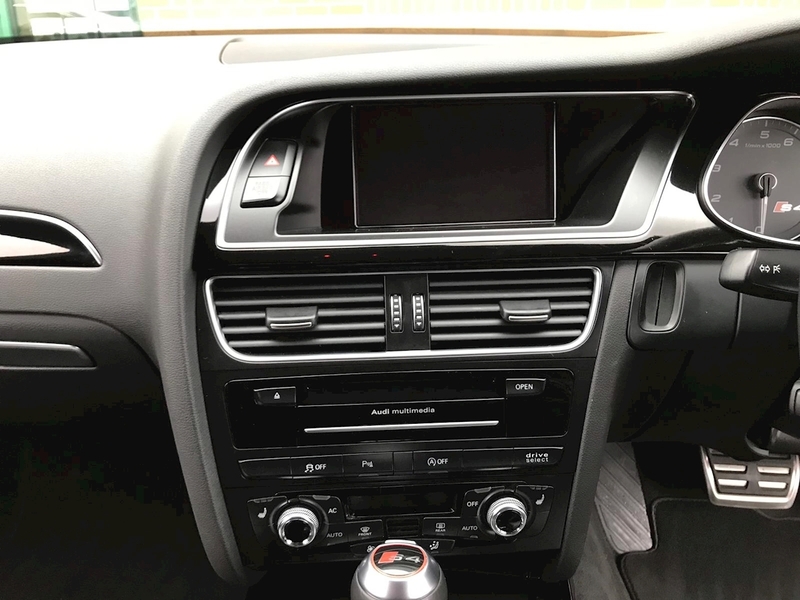 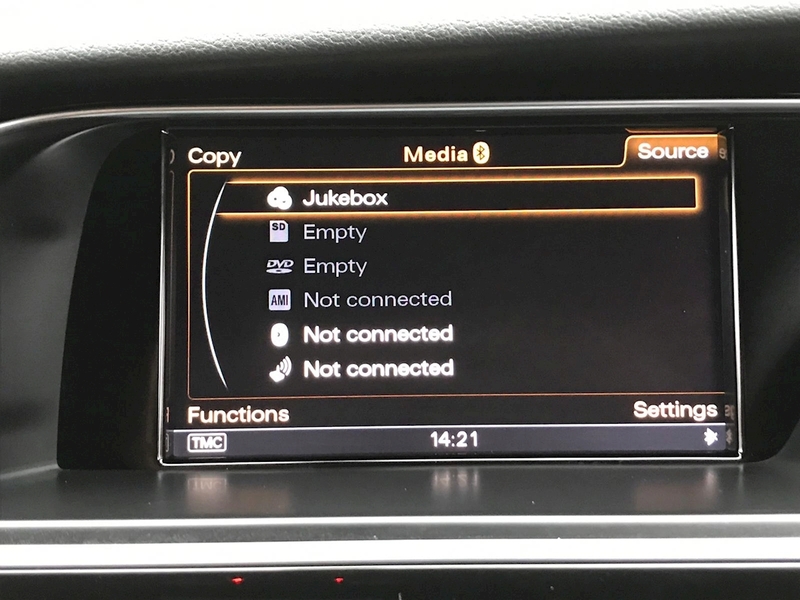 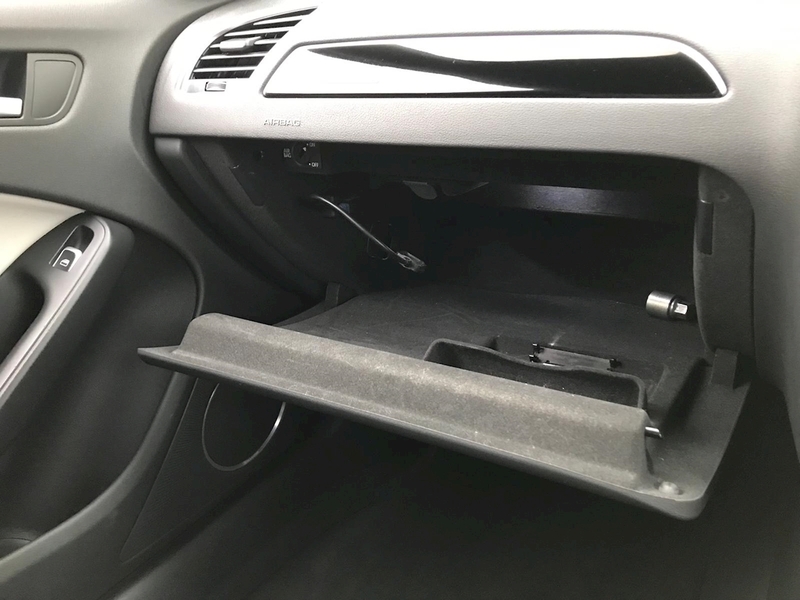 It comes backed with full Service History as well as an Audi Service prior to sale, 2 Remote Central Locking Keys, 12 month MOT and all the relevant documentation. 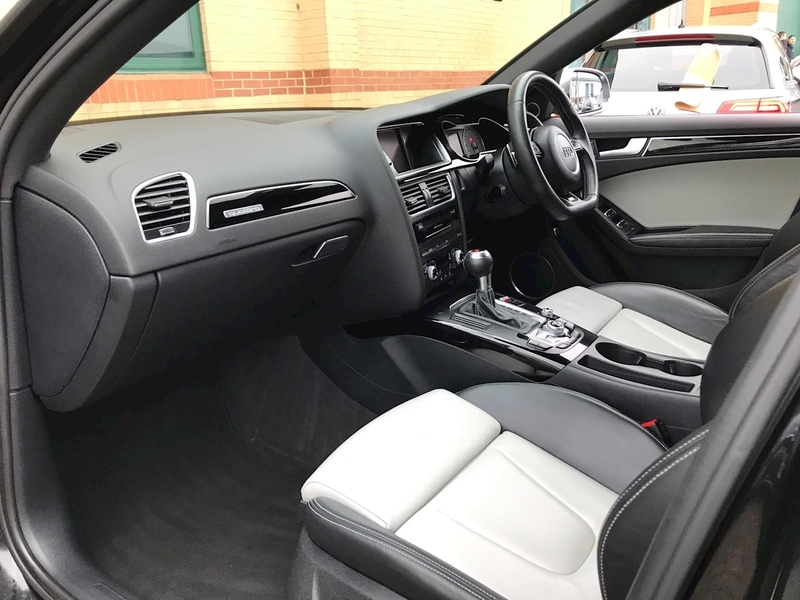 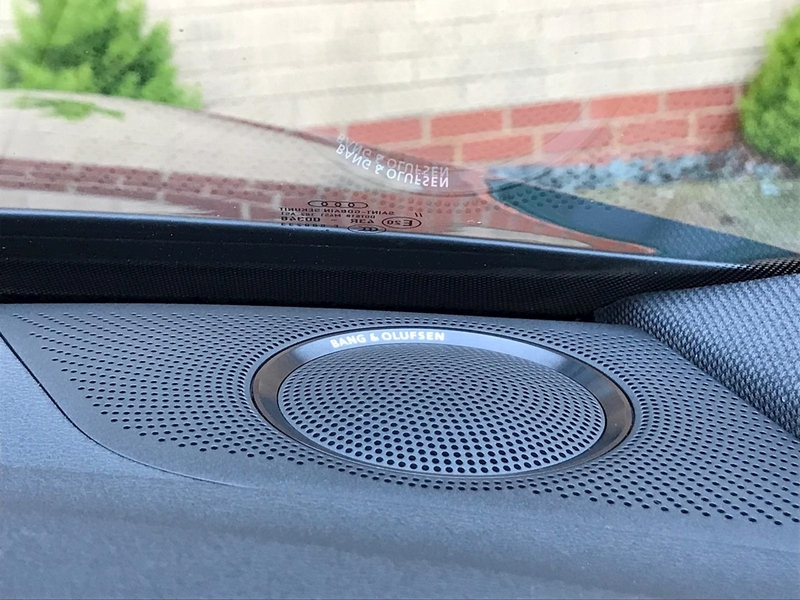 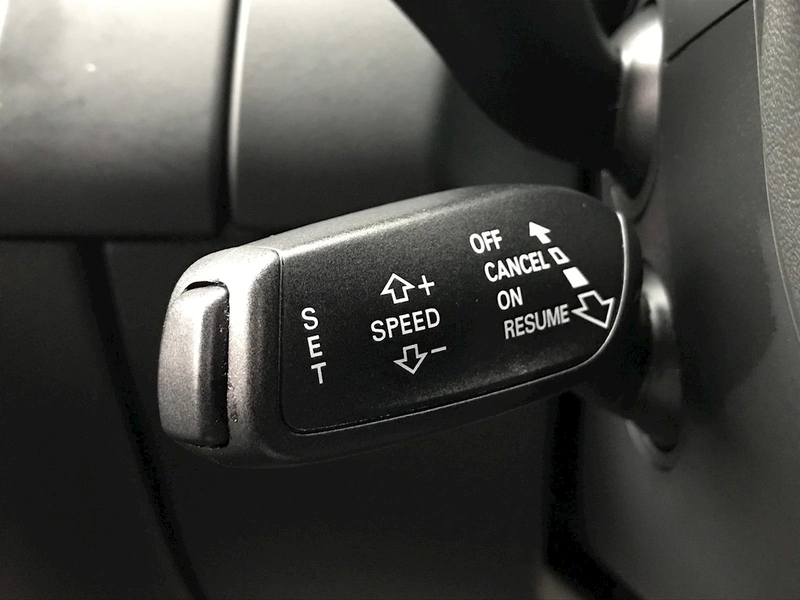 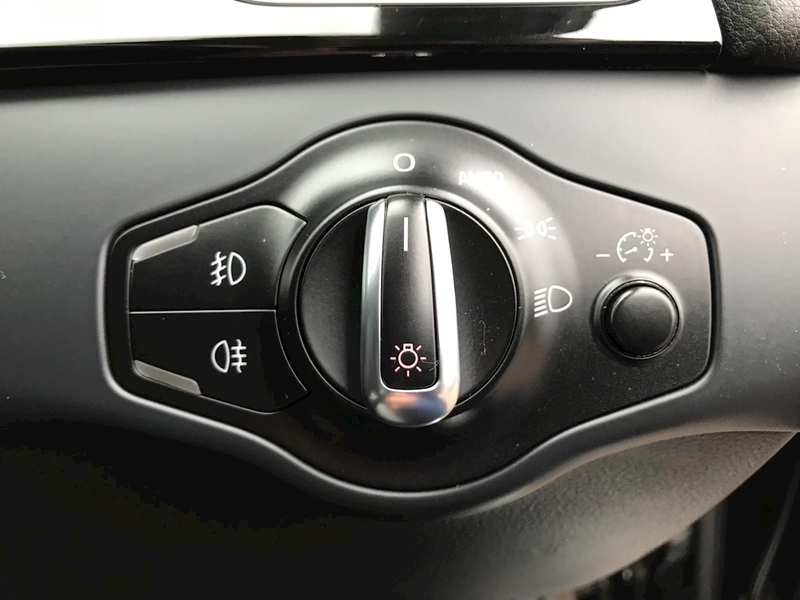 TO REGISTER YOUR INTEREST IN THE VEHICLE PLEASE CALL US ON 01793 877477/07534088210.